Road users are being urged to seek an alternative route following a road traffic collision close to Belfast International Airport. 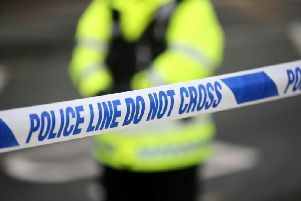 Detailing the incident, a Department for Infrastructure spokesperson said: “There has been a collision on A57 Airport Road on the approach to the Belfast International Airport. A spokesperson for Belfast International Airport added: “Please be aware there has been a road traffic collision on the A57 Airport Road, close to the Ballyrobin Country Lodge.